When there are fewer than two dozen people in the world with a specific disease, the hopes for finding new treatments are minimal. 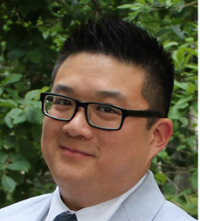 But a team led by Clement Chow, Ph.D., a geneticist at University of Utah Health, shows how experiments in the common fruit fly can yield insights into rare human diseases with relative ease at a rapid pace. Published in Human Molecular Genetics, they identified two treatment strategies for a rare disease called NGLY1 deficiency that are worth a deeper look. In addition to Chow, the research was carried out by first author Katie Owings and co-authors Joshua Lowry, Yiling Bi, and Matthew Might. The NGLY1 gene is critical not only for humans, but for all animals. Children with NGLY1 deficiency are delayed developmentally and have seizures, liver disease, and other chronic conditions. 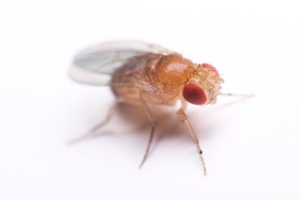 Flies without a functioning NGLY1 gene typically die early in life. These dire consequences occur in part because disrupting NGLY1 indirectly impacts other genes. Chow and his group attempted to “cure” the flies with treatments designed to restore two genes that were among the most highly affected. One treatment was feeding flies GlcNAc, an inexpensive supplement found at most nutrition stores. The researchers found that about three times as many flies survived compared to those on a regular diet. The second treatment was moving the insects to an abnormally warm temperature for short periods of time, a tried-and-true method for activating physiological pathways that protect animals against stress. Although an impractical way to treat humans, drugs that chemically induce the heat shock response are under development and could be the basis for a pharmaceutical therapy in the future. The two treatments clearly counter NGLY1 deficiency in flies, but it remains unknown whether the same approaches will be effective in treating human disease. Further, the precise mechanisms by which the treatments work still needs to be determined. Nevertheless, the prospect that these discoveries could one day lead to accessible interventions for patients with NGLY1 deficiency gives the scientists good reason to continue the work.